Masao Yoshida in November 2011 just before he stepped down as the director of Japan's crippled Fukushima Daiichi nuclear plant. 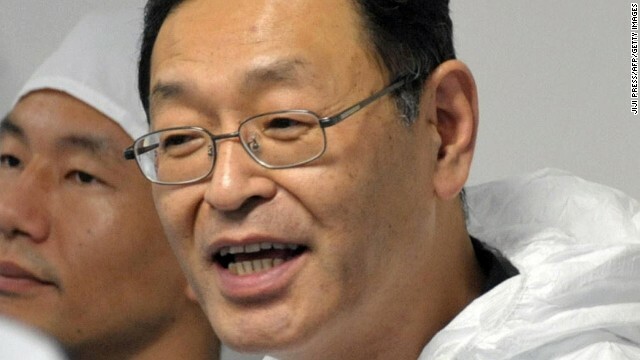 Tokyo (CNN) -- Masao Yoshida, the man in charge of Japan's stricken nuclear plant in the wake of the catastrophic March 2011 earthquake and tsunami, has died of cancer in a Tokyo hospital aged 58. Yoshida led the "Fukushima 50," the group of men who risked their lives to contain the fallout from the world's worst nuclear disaster since Chernobyl. He was diagnosed with esophageal cancer, which affects the throat, in late 2011 months after the tsunami struck, Tokyo Electric Power Co (TEPCO), the operator of the nuclear facility, said. The company added it was unlikely his cancer was a result of radiation exposure. They said that the condition usually takes five to 10 years to develop if radiation is to blame. 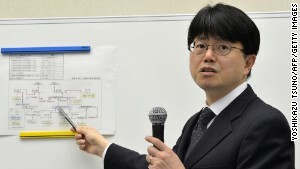 "Mr. Yoshida united staff and courageously handled the accident," said Naomi Hirose, TEPCO's chief executive. Yoshida was at the Fukushima nuclear complex when the tsunami engulfed the cooling system and saw three reactors go into meltdown. In an interview in November 2011, he said he thought several times that he would die. Defying orders from his bosses, Yoshida made the decision to pump seawater into the No. 1 reactor in a move that may have averted a catastrophic nuclear explosion. Prime Minister Shinzo Abe said on Tuesday that Yoshida "made a great effort in the middle of the accident. I wish his soul will rest in peace." 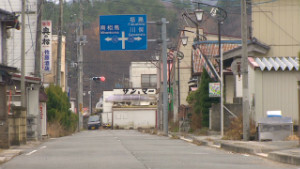 The authorities' handling of the nuclear disaster was widely criticized, with an independent investigation calling it a "man-made disaster" that unfolded as a result of collusion between TEPCO, regulators and the government. 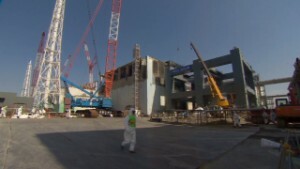 The Fukushima plant remains hazardous more than two years after the earthquake and tsunami. On Tuesday, TEPCO reported an increase in radiation levels at the plant after a ground water sample collected from an observation well located close to the ocean was found to be contaminated with a radioactive material. TEPCO said it had started using cement to seal the ground facing the ocean to prevent the contaminated water from reaching the sea.